If you’re a Google Chrome user then you might have come across the popular T-rex dinosaur game and played it too. The T-rex aka dino game is a hidden game that appears when you’re offline or not connected to the internet. This little classic runner game is a good time pass while you wait to get back online. Interestingly, Google has now added a similar game for its mobile search. While Chrome’s T-rex carries a grayscale theme, the game seen in Google mobile search features a modern and colourful design. The concept is quite similar to the Flappy Bird game and the easter egg found in Android Marshmallow. 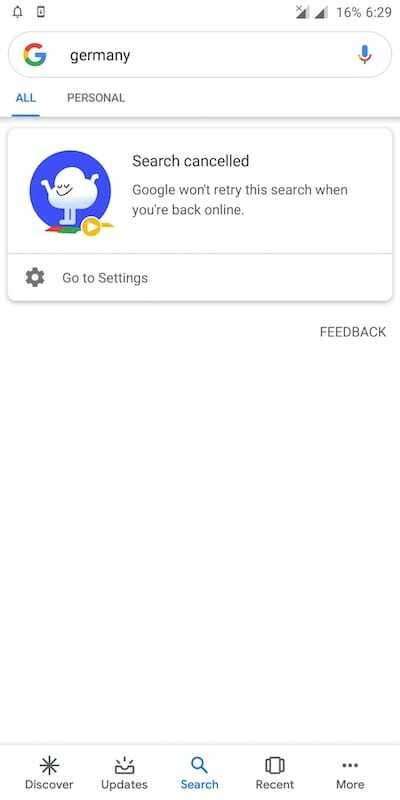 Like T-rex game, the cloud floating game only shows up when you’re offline, have no data connection, mobile data is off, or your search timed out. 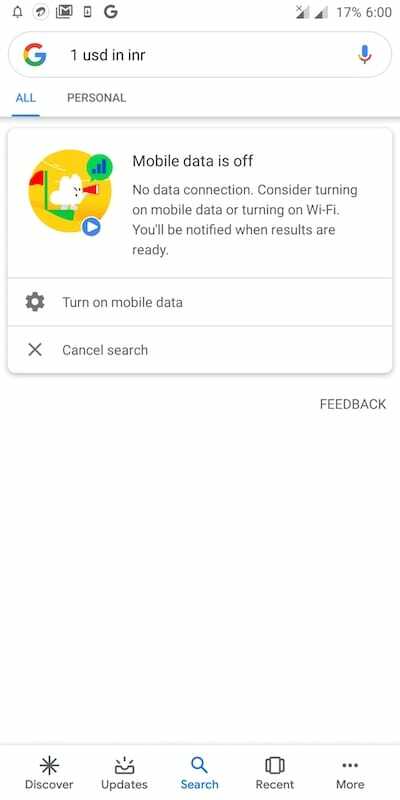 To play it, you need to perform a search using Google app or Google search widget on your smartphone. 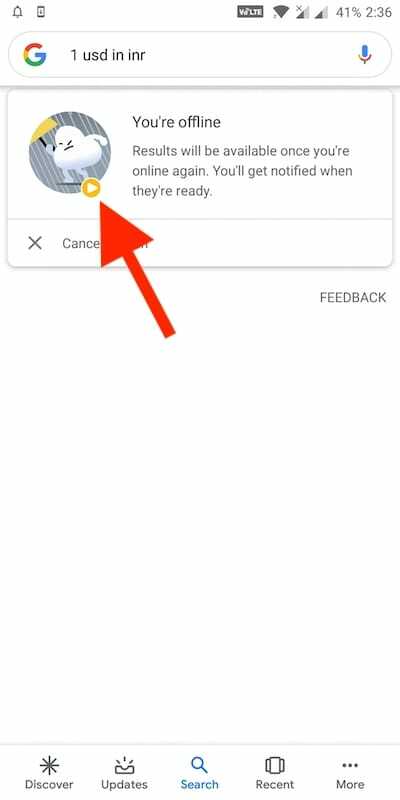 Now when there is no data connection available, Google mobile search will display an animated character. There are several such animations that change randomly. Tapping the play icon next to the animation will land you inside the game. You can now play the game in fullscreen mode just by tapping anywhere on the screen. 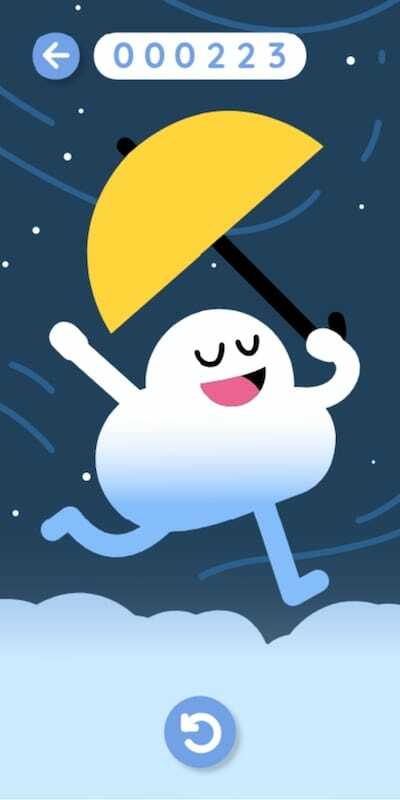 When played, a cute cloud with hands and feet, yellow umbrella in hand, and a winking smile continue to float ahead. 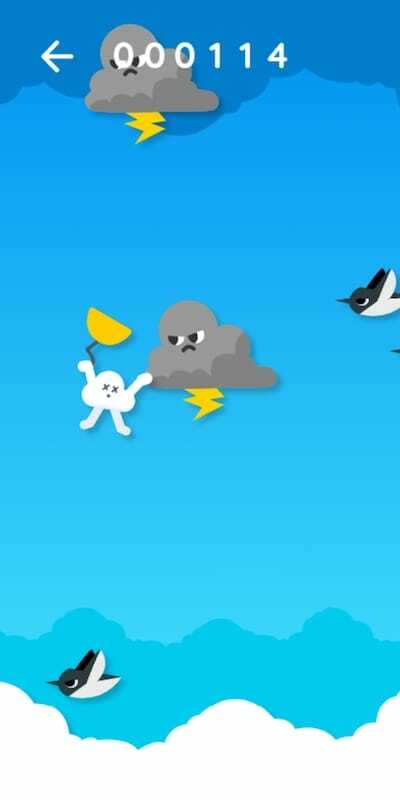 You need to protect this cute white cloud from evil birds and thunder clouds with an angry face coming its way. Besides, you will notice dark rainy clouds floating upwards and hindering your way. Try to avoid a collision with all these elements while floating or else you will die. 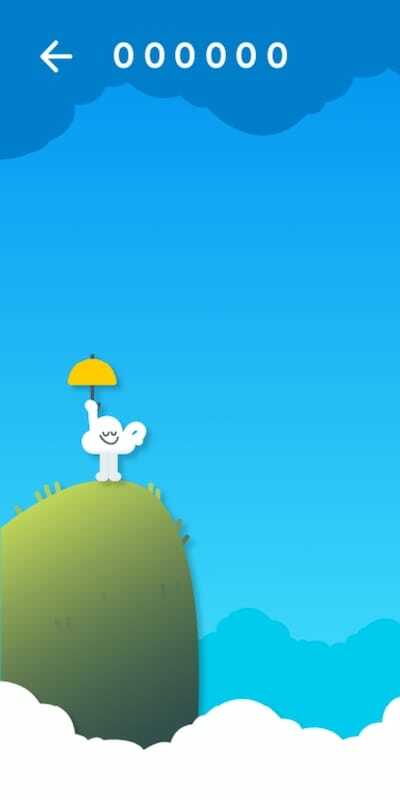 What’s interesting is that the cloud adieus with a sweet D smile and an umbrella in hand even when it gets busted. Unlike T-Rex, there is no audio in the game though. One can play the game again by tapping the replay button or choose to go back to the search interface. 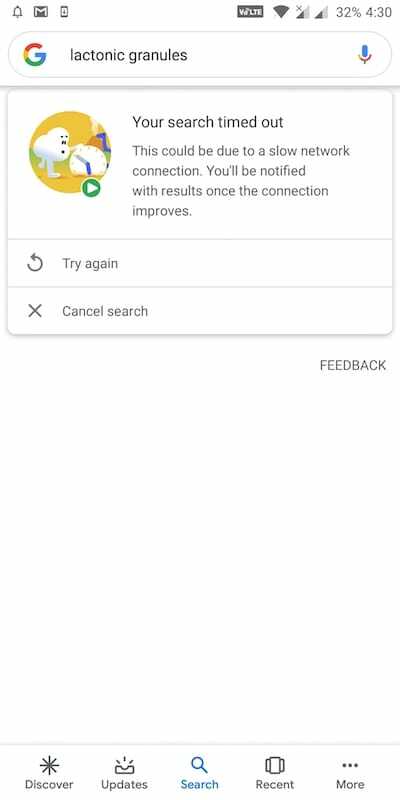 We have found this fun game on the 9.46.5.21 version of Google app but it should be available in newer releases too. Do try it and share your best score with us. 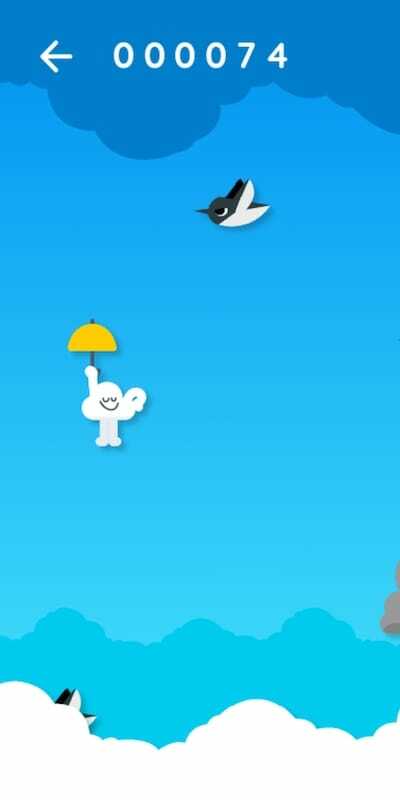 Tip: If you wish to play the floating cloud easter egg game anytime on your mobile, just turn off your Wi-Fi and mobile data. Doing so will disconnect you from the Internet and you can play the game right away.